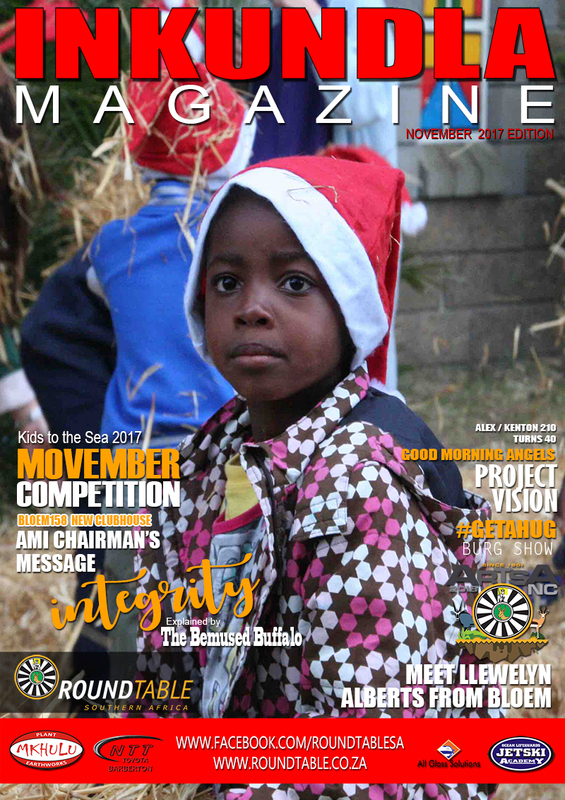 Some inspirational engagement with the local communities here in the Southern Suburbs of Cape Town is Peninsula 77, Round Table’s biggest annual fundraiser the Noddy Charity Christmas Party which entertains thousands of children and adults in November and December in Rondebosch each year. The Noddy Party, as it’s well known, runs over three consecutive weekends (Thursday to Saturday) and the Peninsula 77, Round Table also put on a Charity Night for orphaned or disadvantaged children from safety homes around the city of Cape Town. It is essentially the same show as all the other commercial nights, however the food is either sponsored or donated and the children’s presents are also sponsored through fundraising initiatives. For the last two years BNI Exchange (Business Network International) have fundraised for the presents for the Noddy Charity Christmas Party Charity Night. So far this year they have raised in excess of twenty eight thousand rand for those said gifts. Most of the volunteers for the charity night this year and last have come from BNI and Round Table. BNI Exchange volunteers also help wrap the 250 to 300 boxes for the presents for charity night. Being able to actually see the children open their gifts that they have received from Father Christmas on the Charity Night is very rewarding in itself. The marketing for the Noddy Charity Christmas Parties is currently done through social media marketing platforms such as Facebook, Twitter and Instagram. Most of the marketing happens through paid and unpaid advertising, posts and events via Facebook. This year so far through Facebook marketing Peninsula 77 Round Table has sold R170k in Noddy Party tickets. If all continues to go well and the Round Table sell out all tickets they will have had R189k come in via ticket sales. Then there is also the coffee hut which makes a big profit annually with Christmas hats, antlers, glow sticks, coffee, hot chocolate, sweets, chips and other such items for those attending the shows. After costs all profits will go towards charity projects and community upliftment initiatives and NPO work through the Round Table. Peninsula 77 organise things such as fruit juices for all the children attending the parties, washing all the costumes and outfits for the Noddy Party and getting ice-creams for all the kids. The 41ers (Old Tablers) come in full force each year to help out behind the scenes for sound and lighting and castle duties as well as other such roles at the Noddy Parties such as driving the tractor. They do a lot of work behind the scenes each year for the successful running and fundraising of the Noddy Charity Christmas Parties. All these people collectively make magic happen for the kids and families and their friends attending the Noddy Charity Christmas Party each year. The attendees of the party enjoy a tractor/ trailer ride around the field, straw throwing with clowns, goblins and Mr Plod in the arena, a welcome by the MC, a magic show, picnic dinner break, the arrival of Noddy and Big Ears with ice-creams for all the kids, Christmas Carols around the piano, marching together with the marching band and the ultimate arrival of Father Christmas and the fairy who give out presents and sweets for all the kids! It is as such a full night of entertainment for all the children and families who attend each year. There are many families to whom attending the Noddy Party in Rondebosch is an institution. Some of those who ran around at the Noddy Party as kids are either helping out behind the scenes as adults or attending the show together with their kids. It is both a very special party and an inspirational fundraiser in terms of the community upliftment and charity project aspect as well as the charity night through which many disadvantaged kids from impoverished areas get to enjoy the festivities and gifts that are handed out via the Noddy Charity Christmas Party! The whole purpose of a charity event such as the Noddy Party is to be able to give back to your local community while entertaining families and friends and to help uplift others through resulting charity projects. Peninsula 77 Round Table in Rondebosch is both humbled by the longevity of the show and extremely grateful to the families and friends who attend each year and help to make it a success.